Robert Barkhimer was an auto racer who became a successful track promoter. 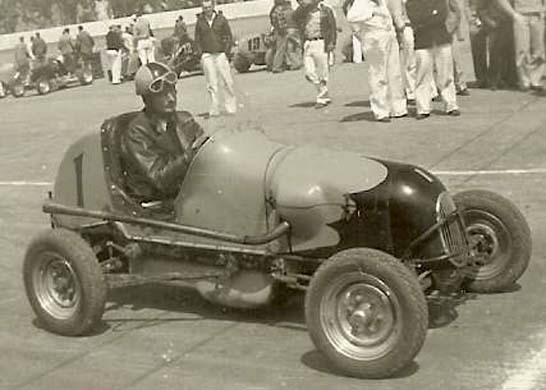 Barkhimer raced midget cars in the 1940s -- an era when cars lacked basic safety gear -- and had several near-fatal crashes. Ken Clapp remembers Bob Barkhimer as a friend and a NASCAR pioneer who helped bring the racing organization to the West Coast and Stockton 99 Speedway. A moment of silence will be observed before today's races to honor Barkhimer, who passed away on June 17. He was 90. It is the first show at Stockton 99 since Barkhimer's death, and Clapp, the track's current promoter, said it's fitting that he will be honored at one of the biggest events of the season. "He loved the sport and he is such an important figure in racing," Clapp said. "He was clearly the point man when it came to bringing NASCAR to the West Coast." Barkhimer - affectionately called "Barky" - managed as many as 22 tracks at times in the 1950s, and in 1955 he brought 10 tracks into NASCAR. Stockton 99 was officially the first track west of the Mississippi River to join the organization, and tracks in Oakland, Fresno, San Jose and Hughes Stadium in Sacramento soon followed. Barkhimer also served as a senior vice president for NASCAR. He stayed involved in Stockton 99 and other tracks until his retirement in 1981. "Racing was a big part of his life, and I think it's wonderful that they are going to do that for him in Stockton," said Bonnie Barkhimer-Doak, Bob's daughter. "He would have appreciated it." Robert Barkhimer of Los Gatos, an auto racer who turned a love for the sport into a lifelong career as a track promoter credited with helping to bring NASCAR to the West Coast, died June 18 at the age of 90. "He just loved the roar of the cars and whatever it took to put on a show,'' said Eva Goularte, who met Mr. Barkhimer in the late 1940s and then worked as a scorer at some of his tracks. Mr. Barkhimer -- "Barky" to his friends -- was born in Berkeley in 1916. He married the former Mary Cecil Slattery of Alameda in 1936 and, a year later, found the second love of his life at a dusty racetrack in Emeryville. "The engines sputtered and then caught ... the noise was deafening ... WOW!!'' Mr. Barkhimer later wrote in a Web posting about his discovery of "midget" racing -- small cars with big engines. "I was totally, 100 percent hooked! For the first time in my life, I had a goal. I wanted to be one of those midget race car drivers!" By the mid-1940s, Mr. Barkhimer had become Bay Cities Racing Association Midget Champion. This was an era when race cars lacked such basic safety gear as seat belts and roll cages and, after what his family describes as several near-fatal crashes, Mr. Barkhimer turned to race promoting as a way to support his growing family. 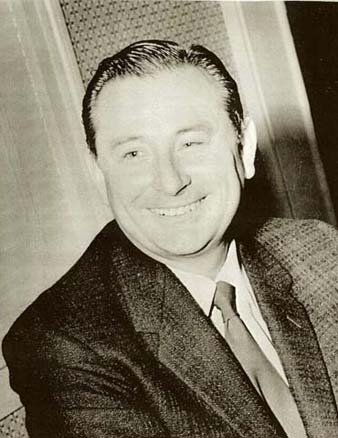 By 1949, Mr. Barkhimer and his partner, Jerry Piper, formed the California Stock Car Racing Association and began promoting races at San Jose Speedway. Within a few years, Mr. Barkhimer was promoting races at more than 20 tracks along the West Coast and Arizona. He and his wife formed their own promotions company, Bob Barkhimer Associates. By the early 1950s, Mr. Barkhimer had traveled to Daytona Beach, Fla., to watch stock cars race along the famed beach course, recalled his longtime friend and race flagman Paul Bender. In Daytona, Mr. Barkhimer met Bill France Sr., the man who a few years earlier had formed the National Association for Stock Car Auto Racing, and the two struck an agreement to bring NASCAR sanctioning out West. That led to uniform rules and guaranteed prize money for drivers at a time when some shady promoters would run off with the ticket receipts before the checkered flag fell. Mr. Barkhimer promoted races at not only San Jose Speedway but at tracks in Stockton, Antioch, Watsonville, Petaluma and the Central Valley. Mr. Barkhimer apparently did a fine job laying the groundwork for NASCAR on the West Coast: More than 100,000 race fans are expected to pack Sonoma's Infineon Raceway today for a NASCAR Nextel Cup race. Over the years, Mr. Barkhimer also promoted car shows, boxing and wrestling matches and roller derby events in the Bay Area. Shortly after his wife died in 1976, Mr. Barkhimer sold his businesses and retired. He spent his later years traveling, writing stories about the early years of racing, and sharing his racing knowledge and enthusiasm. In 1980, he married Jean Hightower, who died in November. Mr. Barkhimer is survived by a son, Bill of White Salmon, Wash.; daughters Shirley Forest of South Lake Tahoe and Bonnie Doak of Los Gatos; and numerous grandchildren and great-grandchildren. He was preceded in death by a daughter, Judy. The family will hold a memorial service Saturday from 2 p.m. to 6 p.m. at the Los Gatos Lodge. Family members request that anyone wishing to attend contact them at just1barky@att.net. Good things sometimes happen in indirect and funny ways. In the early 1950’s the United States Navy decided it needed the services of one William C. France of Daytona Beach, Florida at the northern California Navy Air Base known as Moffett Field. Had it not been for that military decision, the relationship of our next inductee and the growth of stock car racing on the west coast might have happened much differently than it did. When Bill France, Jr. arrived on the west coast his father NASCAR founder Bill France, Sr. asked him to look up a fellow by the name of Bob Barkhimer around San Jose California. He told him that this fellow Barkhimer ran about 22 different speedways of various shapes and sizes and headed up and organization called California Stock Car Racing Association. Young Bill did as asked, and developed a relationship with Bob Barkhimer and his partner Margo Burke. He went to events with them, stayed weekends with them and generally became very familiar with racing on the west coast. This led to “Barky”, as he is still fondly called by his friends, to journey to Daytona Beach and meet with Bill France, Sr. On more or less of a hand shake, Barky returned to California and the rest is history, in the spring of 1954, NASCAR under Barky’s guidance, became the stock car sanctioning body on the Pacific Coast. Barky earlier had become involved with midget racing and became one of the stars of WWII racing all over northern California. When the war was over he started venturing up to Portland and down to Southern California. Barky loved promotion and had a real strong desire to bring racing to a higher level on the west coast. He could see midget racing starting to lose its crown appeal in the late 40’s and was a huge driving force towards bringing hard top racing to prominence. In 1949 Late Model Stock Car Racing really started to take off and Barky was right there and on top of things to see that this new type of racing would succeed. Retiring after promoting over 3000 races in his career, Bob Barkhimer and partner Margo Burke sold their corporation to Ken Clapp, a young man who they had helped and known since he was a teenager. That organization today is known as CARS Inc. In 1937 , for some unknown reason my wife Mary ( Mollie ) of 5 months and I decided to go to the midget races held in Emeryville , California. Emeryville was a tiny town sandwiched between Oakland and Berkley noted only for a card room ( The Oaks ) a Baseball Park and a slaughter house. Mary and I were 21 years old and drove a yellow Chevrolet Cabriolet with spare wire wheels , one in each fender. The flashy car had a cloth top and rumble seat. I was NOT an Auto Racing Fan ... having seen only 2 races at the Oakland Speedway which was a ONE MILE BANKED DIRT TRACK actually located in San Leandro. Even the WORD "MIDGET" puzzled me ... was this to be the SINGER MIDGETS ? ( a FAMED CIRCUS group of small people ! In later years I was to become part of the Midget Racing Scene ... I as others hated the word MIDGET ... We were grown men ( NOT MIDGETS ) driving legitimate SPEEDY and HIGHLY dangerous RACE CARS ! The racing association was named "SHORT TRACK AUTO RACING ASSOCIATION ( STARS ) which should have been our CAR TITLE ... both then and today ! As we were buying our tickets (a WHOLE .40 cents for each of us) the LOUDEST , SHRILLEST most TERRIFYING sound I had ever heard broke the normal sound of the parking lot ! We were soon to discover the sound was created by an ELTO (ELTO 4-60) BOAT / OUTBOARD engine. As we went to our seats the very atmosphere really excited me ! I was thriled with the chattering crowd ( 3000 race fans ) and the pretty race cars skidding thru the dusty dirt turns ... I WAS HOOKED ! The three TROPHY DASH DRIVERS were : Paul Swedberg , Duane Carter and Lynn Diester. The cars were pushed by the Tow Trucks ... The engines sputtered and then caught ...the noise was deafening ... WOW !! I still recall the odor from the fuel they used ... DYNEX ... Very penetrating and unusual . I do not recall the actual outcome of the races that day ...however as soon as they ended I was down in the INFIELD rubbing my clean hankie around the inside of the large exhaust pipes ...soaking up any exhaust residue . I wanted to savor that exotic odor for the next week ... and I DID ! I was TOTALLY 1000% HOOKED ! For the 1st time in my life I HAD A GOAL . (age 21 ) I wanted to be ONE OF THOSE MIDGET RACE CAR DRIVERS ! I even offered car owners $ 10 to use their car for ONE RACE ... ( a LOT of money in 1937 ) NO WERE THE REPLIES ! One night a car owner named DELUCCI said he had sold a race car however he had never been paid for it. He told me IF I COULD FIND HIS CAR ... and IF I COULD RE- POSSESS his car ... I could run it ! I was instantly in the RE-POSSESSION BUSINESS ! His car was a half MARMON straight eight ... ( 4 cylinder version ) I did not really know what that was then ... however I told Mr Delucci HE HAD HIMSELF A DEAL ! YES ... I located the car ... apart in BOXES ! After being THREATENED by the buyer that never paid for it I loaded EVERYTHING UP and headed to our home on Marin Street in Albany, Ca. I was not a mechanic ... so I talked a friend who was into helping me. I really was totally ignorant of engines / etc . We met a driver named Jimmy Aiten who agreed to drive our race car. ( Jimmy was a regular at NEPTUNE BEACH SPEEDWAY (Alameda) ... a rival track of Emeryville . TUESDAY NIGHT we made our 1st heat race ... The car ran well however slowed after 2 laps ... The same identical thing happened in the B main event. Some of our fellow racers explained we had the wrong spark plugs ... We had J-8/s and needed J-11 plugs. Sounds strange ...however I re-call those numbers as if it were yesterday ! Next race we threw a rod out the side of the block ... so the race car was returned to Mr Delucci. Jimmy ( our driver ) told me where we could buy an old midget from Charlie McLean for $ 150 or $ 10 per month ! WE BOUGHT IT ... The car was BARE BONES ... No upholstery etc and powered by a HARLEY DAVIDSON JD motorcycle engine . Our 2nd race was to be in Vallejo , California. Our driver Jimmy was offered a ride in an ELTO 4-60 car that night ... AND ACCEPTED ! Jimmy then told me that I had to drive our race car that night ! So far ...I HAD NEVER DRIVEN A RACE CAR ... I had only sat in them ! I BORROWED A FOOTBALL HELMET (Re-member this is 1937 ) and got in our race car which was now at the STARTING LINE ... ON THE FRONT ROW ... POLE POSITION ! Scared STIFF my mouth was dry ... I couldn't swallow ... I DIDN'T KNOW WHAT TO DO ! The cars were all push-started ... the FLAG DROPPED and I went to last place in the race. We only had 13 cars on hand ... so I had to run the NEXT RACE also ! This humble beginning ( in 1937 ) led to a 1945 CHAMPIONSHIP , supported my family as a FULL TIME RACER for 3 straight years ! My racing career was interupted by injuries in 1942 and 1947 ... Then in 1948 I quit racing to become the Business Manager for BCRA ( Bay Cities Racing Assoc ) I then took over San Jose Speedway in 1949 and started my own association ( CSCRA ) the same year. I ended up promoting 21 or 22 Speedways on the West Coast ! All this because Mollie and I went to that one Midget race in Emeryville back in 1937.